How do you wear the Tosca Dress? The dust has settled from the Sewing & Stitchery Expo 2013. While going through my expo pictures, I realized there's quite a few pictures that I haven't posted. Enjoy! 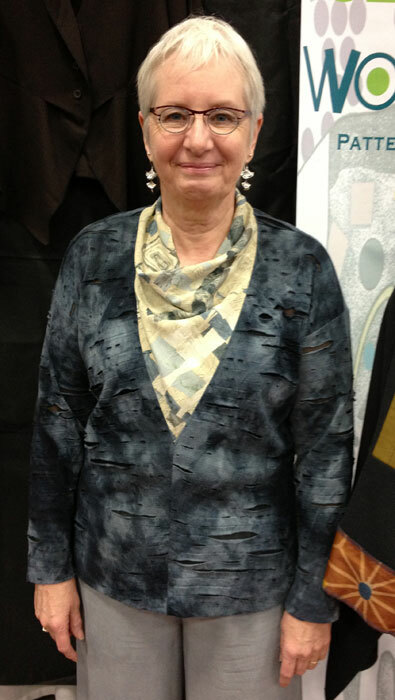 Another year of Sewing & Stitchery Expo is under our belts! What a great show! Thank you to everyone who came by our booth. It's always great to see our patterns made up and to see all your familiar faces year after year! If you're perusing the newstand this weekend, check out the latest Sew News magazine. All your ePattern questions are answered in Linda Lee's newest article All About e-Patterns. We love the simplicity of our ePatterns! We can't get enough of the eShrug, eVest, eSkirt and eDress. 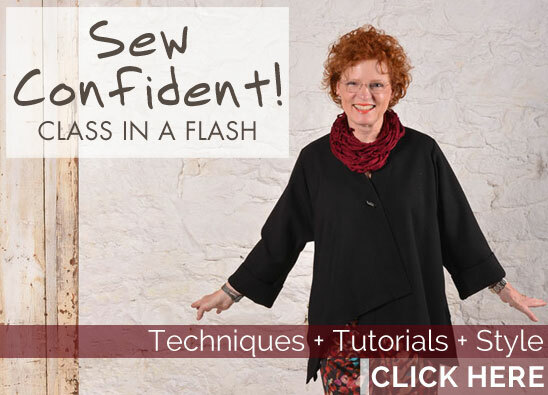 Downloading Sewing Patterns can be fast, easy and convenient. Linda's article offers great tips and tricks to make the downloading process a little easier! DOWNLOAD -- PRINT -- SEW! Every pattern company is different. Curious how our ePatterns work? Download our instructions: ePATTERNS-downloadinstructions.pdf. For years I have worn basic colors of black, brown and charcoal on the bottom in pants and skirts. I have a closet full of them. But a new concept has been introduced this fall season. Reverse the color emphasis and wear your signature color on the bottom and keep the tops neutral. Finding your signature color is actually pretty easy. While is a nice idea to "get your colors done", I am more inclined to listen to my own instincts and pay attention to what I am drawn to and to listen to what people say to me. If someone says, "You look tired. ", then I definitely have on the wrong color. But if I hear, "Have you just returned from vacation? You look so rested. 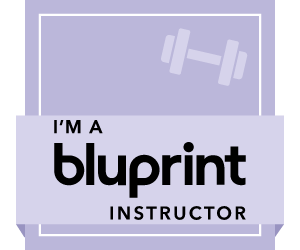 ", then I know I am wearing "my" color. My favorite color is a greyed yellow green that seems not to have a name but is something like a mustard olive (thanks to the paint company, Benjamin Moore). So I worked with the lovely new Ponte Knits that have arrived in our warehouse/studio this fall and made the Quincy Top in a dark charcoal and used my favorite color to make the Quincy Pants. I know that I can't wear a blue pink/purple/magenta, but I love the color. So thanks to the fashion pros, I have permission to wear this zany color on my feet. And I love it! One more point, the term ponte is not in any textile dictionary that I own. So I can only imagine that it is a marketing term established by the companies that manufacture this type of fabric. Whatever the origin, this is a fantastic fabric. 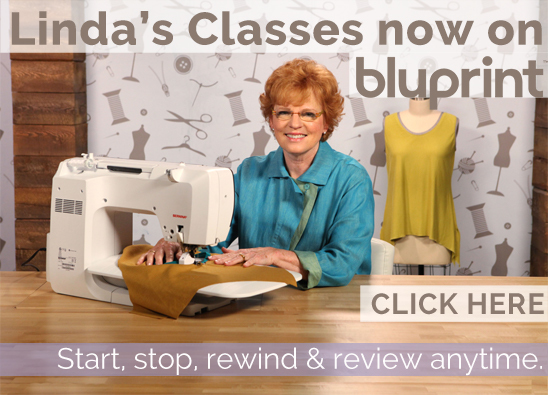 It is easy to sew, requires no edge finishing, is comfortable to wear in all seasons, and launders nicely. I can't think of a better fabric for this season. 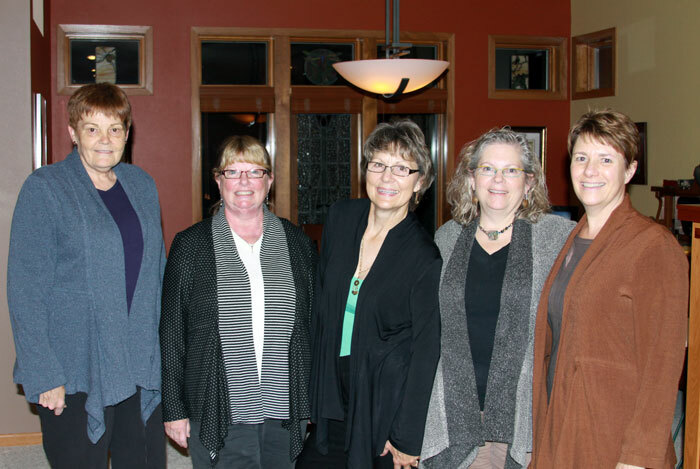 View a wonderful selection of Ponte Knits in a variety of colors. Any Excuse to Wear Sequins! I love this time of year! December is in full swing with holiday parties, sparkling decorations, delicious winter treats and time with family & friends. What do you think I look forward to most about these holiday festivities? 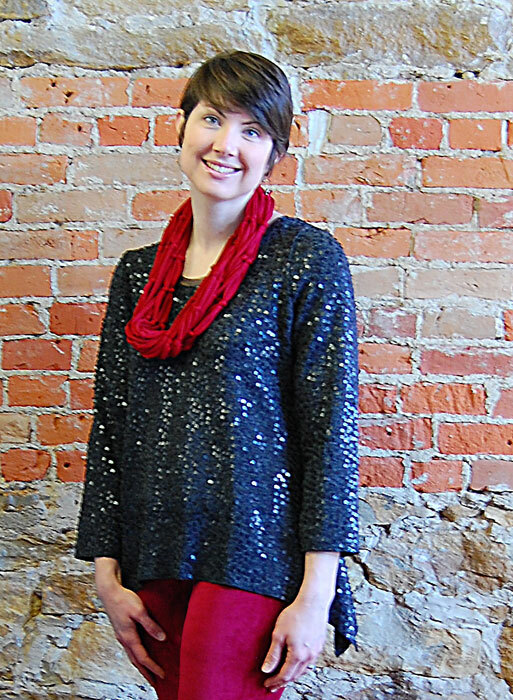 I'm not typically that fancy but there's something about sequins that brighten a cold winter day. Something must have gotten into Linda and Kathy as well. Most of our Eureka Tops are perfect for special occasions! And my personal favorite, the all-over sequined Ann's Top! The Ann's Tank has such a great shape. Why not try it with sleeves?! The Ann's Cardigan sleeves work perfectly. Since the tank doesn't have markings for a sleeve, use the markings on the sleeve as a guide. Don't forget to use a traditional ease stitch to ease the sleeve cap into place. Wear something sparkly and pair it with a scrumptious dessert! That's my kind of holiday! Enjoy! How Do You Wear the Eureka? Sometimes the best garments are simple, easy to wear and comfortable. Clothing that will take you to work and to the park on the weekends. Introducing the Eureka Top & Skirt. A pattern all about simplicity with a few creative details. Here's a look into Kathy's way of wearing the Eureka. 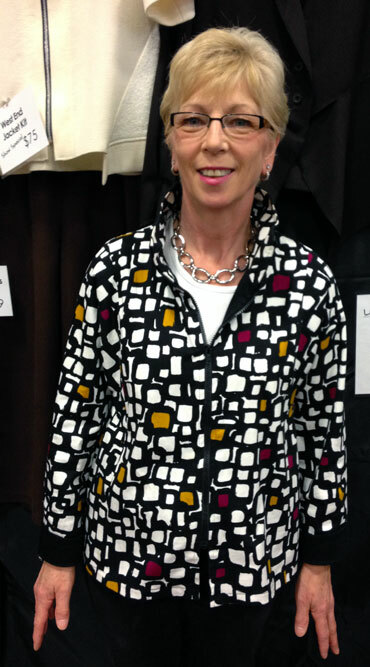 The Zona Jacket is one of our previous patterns. I have always loved the closer fit at the shoulder, the diagonal seams and of course the convertible collar that can stand up and frame your face or lie flat. This Eureka skirt is a poly texture. When working up the new Eureka pattern, I tried the skirt in a woven instead of a knit. The look is very different, but it works out fine. This plaid is a very airy cotton, the woven fabric does not give so much on the bias as a knit would, so the skirt fits a little slimmer. Maybe I will add just a touch more to the size next time when working with a woven. The sweater is from my closet, but I loved the mix of gray, black and taupe that picks up the colors in the skirt." 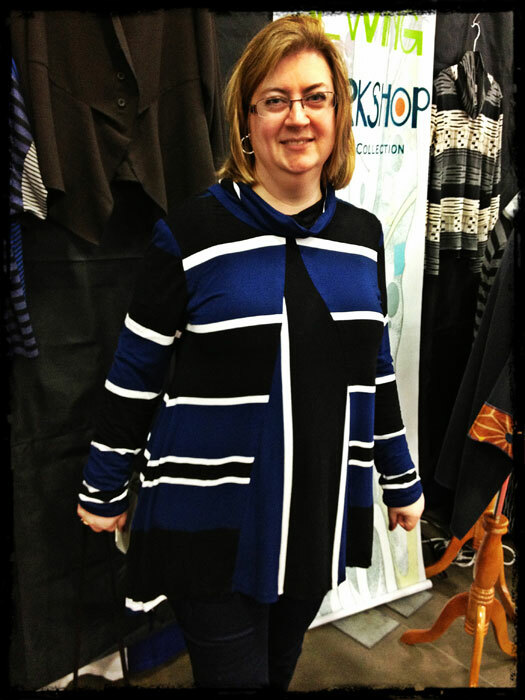 Erin's thoughts on the Eureka Top & Skirt: "I love how much room to play I have with the Eureka Top! I can create an evening look with a metallic lace knit top, slim black pants with platforms sandals. Then I'm ready for drinks with girlfriends! In contrast the Eureka Top is also the perfect weekend staple. In my favorite knit stripe the Eureka goes perfectly with skinny jeans and boots. I can even chase around my 3 year old in this outfit. A definite necessity for me! I call this my work friendly outfit of choice. Granted I have a pretty relaxed and creative work environment! But the look can be more conservative by just adding closed toe pumps, tone down the Urban T-Shirt with a solid or throw on a button-down shirt. The Eureka Skirt has an elastic waist. A comfortable skirt you can wear all day long." 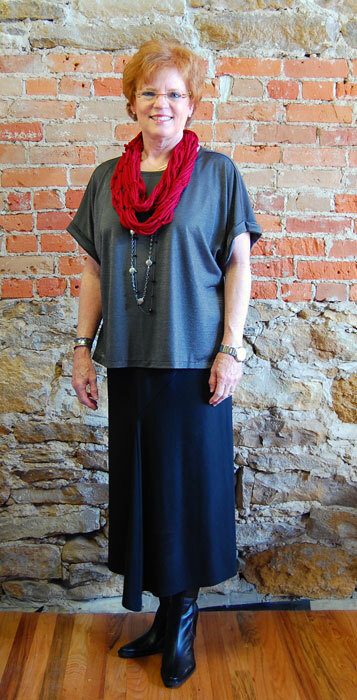 Stay tuned for Linda's styling of the Eureka Top & Skirt! Nora, one of our wonderful customers had an Ann's Cardigan class in a friends home recently. She's here with a little Guest Blog Post about her fun evening! "Start with friends. Add some great food. Stir in beautiful fabrics and a stylish pattern. Top with a large portion of fun. The result-----a day of creativity with a new garment to wear home! This class was in a friend's home. We met two weeks before our scheduled class date to discuss supplies and techniques. Then we had time to prepare and organize. What fun we had working together! Thanks Nora! We look forward to your Soho Coat installment. 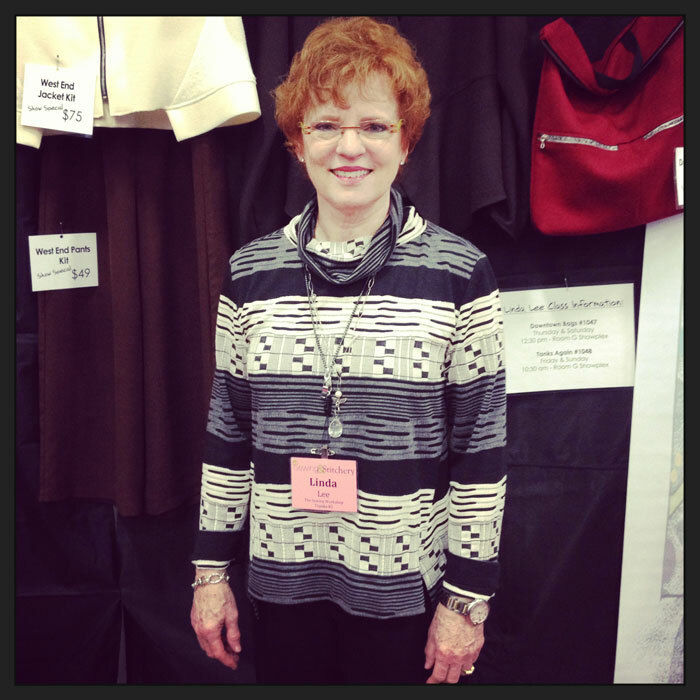 Video: Sew Expo WRAP UP!